Stay tuned for future Stretch Yourself seminars – including Cooper Clinic seminars that will cover stress management. 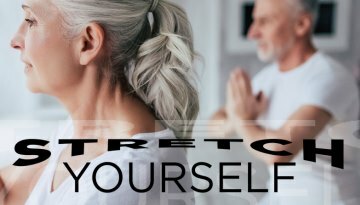 Our “Stretch Yourself” theme will cover many aspects of life, and during 2019 our ministry areas will be addressing areas of our spiritual life, our relational life, and our intellectual life. Some facets of our lives just need to be stretched on occasion.